Penicillin is a group of antibiotics that include penicillin V (for oral use), penicillin G (used intravenously), benzathine penicillin and procaine penicillin. It comes from penicillin fungi and is used to treat bacterial infections. You can only get penicillin with a prescription from your doctor. 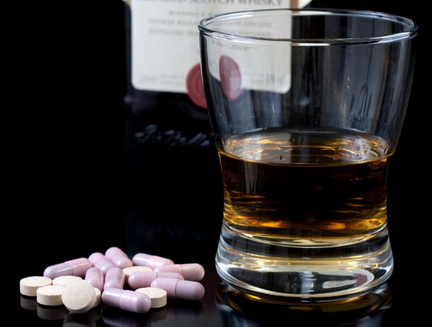 Do you often wonder whether you can take penicillin and alcohol together? Find out with the information below. Can You Take Penicillin and Alcohol Together? While it may come as a surprise to many people, penicillin and alcohol do not interact. Therefore, this shouldn't be a thing to worry. However, you should be wary of the fact that they have the same side effects – dizziness, stomach upset and drowsiness. This means that you increase the chances of experiencing these side effects by taking both of them at the same time. The side effects could also be more severe in some cases. So,if you have been taking penicillin and alcohol at the same time, you should watch out for any unusual symptoms and penicillin allergies. See a doctor immediately if you suspect anaphylaxis or detect any severe reactions to the medication. If you are giving antibiotics to a child, call 911 if detecting any anomalies in their behavior. Metronidazole and tinidazole: You should avoid taking alcohol when taking antibiotics such as metronidazole and tinidazole. Metronidazole is used to clear vaginal and dental infections. It is also used to treat pressure sores and leg ulcers. Tinidazole is used to treat the same infections as metronidazole as well as H. pylori. Symptoms for combining these antibiotics with alcohol include headaches, breathless, chest pain, irregular or increased heartbeat, skin flushing, lightheadedness, nausea and vomiting. Co-trimoxazole: Drinking alcohol while you're on co-trimoxazole will experience the same effect as that of tinidazole or metronidazole. If you choose to drink alcohol, do it in moderation as it normally does not cause too serious problems. Linezolid: Linezolid interacts with fermented/undistilled alcoholic beverages such as beer, wine, lager and sherry. For this reason, you should avoid taking undistilled alcohol when you are on Linezolid. Doxycycline: Taking alcohol along with doxycycline is not a good idea since it can interfere with the effectiveness of the antibiotic. One special notice: Doxycycline shouldn't be taken by people with liver problems. Erythromycin: Research has shown that erythromycin may exhibit a minor interact with alcohol, which can delay its effect on the body. This means that the medication may not work as well or as fast as it should. Penicilin is generally safe, but it can sometimes result in a severe allergic reaction. Signs and symptoms of allergy include skin rash, hives, fever, itching, shortness of breath, swelling, wheezing, running nose and watery, itchy eyes. In severe cases, it can lead to anaphylaxis, a life threatening condition. Low-sodium diet: If you are on a low sodium diet, you need to realize that some penicillin medicines contain copious amounts of sodium. Make sure your doctor knows about your special diet. Diabetes: Penicillin can cause a false positive result when you are taking a diabetes urine sugar test. If you are suffering from diabetes, consult with your doctor to find out whether you should change your diet or the dosage of the diabetes medicine. Phenylketonuria: If you have phenylketonuria (PKU), you should consult a medical professional before taking any augmentin formulations since they contain phenylalanine.